As always when we have our garden we have things coming off faster than we can eat them so we have onions, jalapenos and tomatoes that came off last week so it is salsa time. However, we already have salsa coming out our ears also so I am doing freezer salsa so that when we run out we grab a bag out of the freezer and we are ready to go and nothing from the garden went to waste. Throw all of this in a large pot and cook on low for about an hour or until everything is cooked down. Cool everything completely. Place in food processor if you don’t like chunky salsa. I like to get a plastic cup and put a baggie in it then fill it up. It makes less mess and I don’t need 14 hands to put something in a Ziploc. Fill them half full and then throw in the freezer. Pull it out when you need salsa and thaw. If you would like to eat it right away put it in the fridge and let it cool off. It will get hotter as it sets. I was recently speaking to my Aunt and I was giving her information about making easy money without going to work. I know everyone is looking up how to make money at home, and while these things help they do not make a paycheck just help. SO without further delay. Checkout 51- This is an app for your phone. Each week they have certain coupons and if you but them you just need to bring up with app, check the ones your bought and upload your receipt. When your account reaches 20 dollars you get a check in the mail. I only buy the ones that are on my list to begin with so that I am not spending more than I planned to. Amazon Mechanical Turk- Amazon has a place where you can go online and work. The jobs range from free to 90.00 (Highest i have seen). You go on and do the jobs you want to do. My goal is 10.00 a day to make 300 a month for extra income. You have an account that builds up money and as soon as your 10 days waiting time is up you can withdraw that money and transfer it into your checking account. Swagbucks- This is a website where you can shop, watch, answer surveys, do small tasks and play games and as you do these things you earn points. The more points you have the more you can get with those points. Because I have a pay pal account I plan to exchange my points for a 25 dollar pay pal card. You deposit that to your pay pal account and then move it to your checking account. There are other kinds of gift cards on there, check it out. Just as a bonus I also love goodreads and try to share that knowledge as much as possible, If you love books go onto goodreads. This site has every book I have ever heard of I can keep track of what book I am reading, how far I am into the book and review it when I am done. If that isn’t enough there are also giveaways! Yep that’s right ladies and gent’s they give away books. Now i probably entered 1000 giveaways last year and most of those I lost but I won 40! That’s 40 books I did not have to buy and all they ask is that you review the book when you are done. Sometimes you will also get a book that the Author signed or wrote you a special little note. I have ten of these. If the author really likes your review they will put you on the waiting list for their next one and guess what…yep you get that book for free also. LOVE LOVE LOVE his site. I found the best loaf bread recipe today. It is called County white bread and I found it in my Bread machine book. I have a few problems with my bread machine. I feel like the crust on the bread is always so hard it could break my teeth…so I use the dough cycle and let it rise in the pans from there and cook it in the oven. The problem with this the information is not in the book to cook it this way….oh well here is what I did. pour all of these into your bread machine pan in the order listed and place in your bread machine turning it on to the dough setting. When your bread machine turns off pull the dough out of the pan it will be sticky so make sure you have flour ready on your hands and the surface you are putting the dough on. You can cut this into two loaves or leave it as one.My girls like smaller sandwiches to take to school so I do two. Spray your glass loaf pans, shape the dough into a smooth loaf and place in the pans. Put in a warm place and let rise 60-90 minutes. From there preheat your oven to 355 and bake 30 minutes turning half way through. 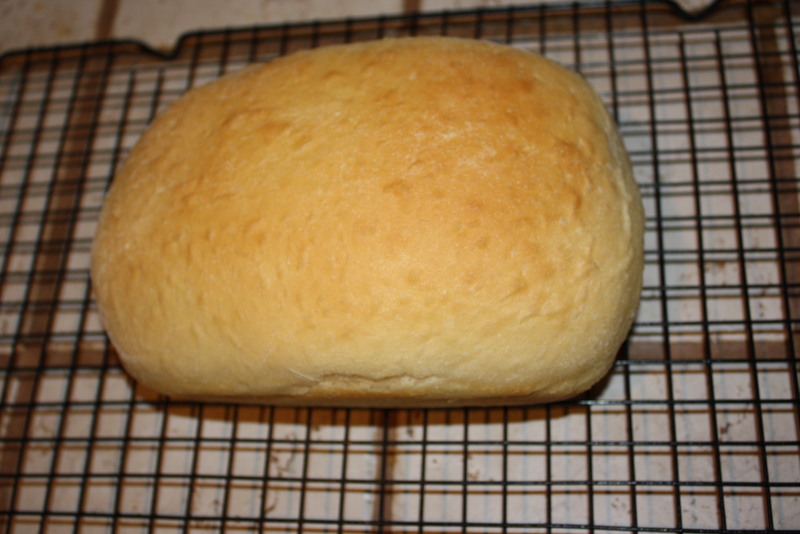 Enjoy, this recipe makes your bread very moist, soft and slightly flaky with a barely there crust. 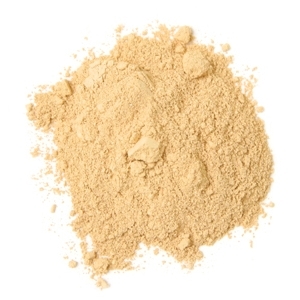 arrow root powder also called arrowroot flour, cinnamon, nutmeg, cocoa powder. For years i have tried all kinds of different kinds of foundation, liquid, matte, and dry foundation. While some worked for a while others did not. It seems like it will work and then all of a sudden I break out. So time to try an all natural route. I have been using it for two months and I have not broken out one time! Like always I got my recipe online on pinterest. There isn’t really a set recipe seeing as how everyone has different skin colors so you will need to play with it. Because I am so light I used 1 tablespoon arrowroot flour, 1/4 tsp nutmeg, 1/8 tsp cinnamon. It works great not only have I not broken out, but as long as I put on my moisturizer my skin does not dry out half way through the day like regular store bought foundation and it smells wonderful. So here it is a nice natural way to wear makeup, not breakout, you control your color, it smells good, and there are no harmful chemicals that are being put on your skin through your makeup. Also if you enjoy liquid foundation over dry you can turn your dry foundation into liquid with olive oil, almond oil, jojoba oil….Im not sure how these work with as far as healthy skin considering you put oil into the but have fun. Ok for starters who doesn’t love homemade ice cream 🙂 or just ice cream in general. The problem for us First Lactose free Ice cream is expensive for so little. Second It is not lactose free there is still 1 percent lactose in it and sometimes that little bit will make a difference. After trying hard to make ice cream and failing, we found a recipe that works. Now i say fail because when it froze it was hard as a rock or just wasn’t what we were going for. My mom and I put our heads together and I think she was the one who finally found the perfect recipe. Now I know I keep talking about the lactase drops on Amazon but they work and they help with anything liquid so far. So I buy my gallon of milk and put these in it and also Heavy whipping cream with drops in it. 24 hours later I am ready to make my ice cream. I also have a cheap (35.00) ice cream maker also ordered from Amazon (i swear they aren’t paying me). Mix these together until sugar is melted and place in your fridge for 30 min to get it as cold as possible before making your ice cream. After 30 min pour into your ice cream maker and turn it on for 32 to 34 minutes. Place in a freezer safe container and enjoy 🙂 So good so easy and lactose free. This is another blog about saving money. There are so many things we do throughout our day that we think we have to do and when you find out you don’t it is a huge surprise! So here are little things that I have picked up on in the last 8 years after having kids. I wish these things would have hit me earlier… Here goes. 2. How did I just realize that mayonnaise was so easy to make. It took me less that 5 minutes to make it and I spend at least 4 dollars a month on one jar. Whats worse is that all of the ingredients are just sitting in my pantry just begging to be turned into SOMETHING. Was there a class on this in High school and I missed it that day? I mean where was I during the day they taught people some things a way cheaper to make and are usually better? 3. You can make your own cleaners. Again here I go just throwing money at cleaners when I could make multiple cleaners and soaps with things that are already in my house or way cheap to buy. Is it just because Mr. Clean was so Awesome that we just decided to pay for instead of making it? Guess what Vinegar and oranges do an excellent job. And that horrible stainless steel cleaner that is so greasy….yep you can make one yourself that isn’t greasy. Oh what a sad day this was when I realized so many things at once. 4. I am a fan of this one really. Apps are helpful. I recently learned about checkout 51. This is an app that you download to your phone and it will shown you extra coupons that you can redeem on your phone. You just buy your regular groceries and if any of the items are on your receipt, you scan it with the app and they credit the coupon to your account. When you reach 20 dollars they send you a check! How can you go wrong. They usually have things like milk, eggs, bread, cereal and many other things. It updates every week or so giving you different options. 5. Consignment stores!! I have an excellent consignment store right around the corner from my house. The clothes there are amazing. I can go in and find 8 slim for my daughter for 5 dollars! I can’t even get them at that price at Wal-Mart or Goodwill. I also sell clothes from my girls there and just got my first check from them for 23.00. That money does not go towards groceries or spend money that money goes in the girls savings accounts. Look at that every little bit goes a long way.